A man who uses cannabis for pain relief after he was assaulted has been caught by police with the class B drug. 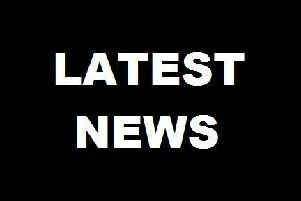 Chesterfield magistrates’ court heard on April 25 how Stephen Brown, 35, of Brook Avenue, Alfreton, was caught with 1.9grammes of cannabis on Mansfield Road, Alfreton, when he was arrested on an unrelated matter. Prosecuting solicitor Neil Hollett said: “He was arrested about 6pm, on April 3, for an unrelated matter and was found to be in possession of cannabis. Brown pleaded guilty to possessing the class B drug. He also admitted committing the offence while he was subject to a suspended sentence order imposed by Derby Crown Court for a burglary and a theft. Defence solicitor David Gittins said: “This is a simple case of possession of cannabis for personal use. He was the victim of an assault in January and he uses the drug for pain relief. Magistrates committed the case to Derby Crown Court for a sentencing hearing on May 23 when he will be dealt with for possessing cannabis and for breaching his suspended sentence order.